When the sun peaks over the horizon to come slating through the trees, sunlight shines yellow in the pollen-rich air, leaves glow with viridian life, and even the loamy soil seems to burst with color. Harness the best moments of the great outdoors with this selection of timberland tints. 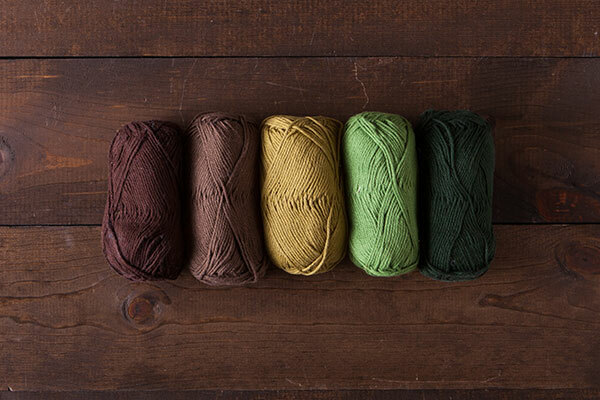 5 full-sized balls of CotLin DK (1 each of Coffee, Thicket, Lichen, Sprout, and Ivy).